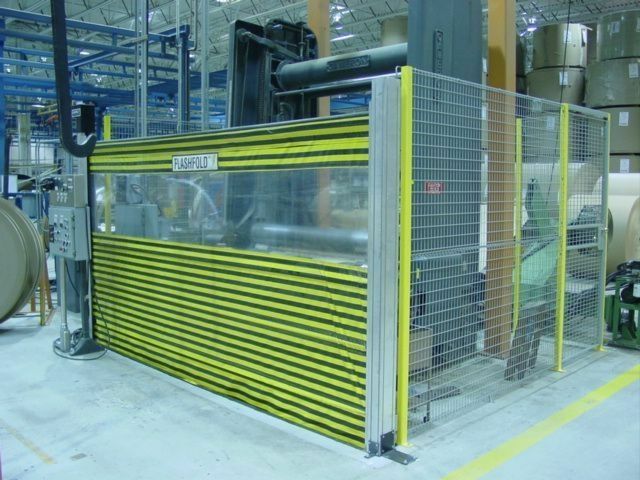 The FlashFold Automated Barrier Door by Rite-Hite Machine Guarding Products is a unique vertical rising automated barrier door designed for safeguarding of machinery in applications where overhead crane or fork lift loading/unloading of the work cell is necessary. 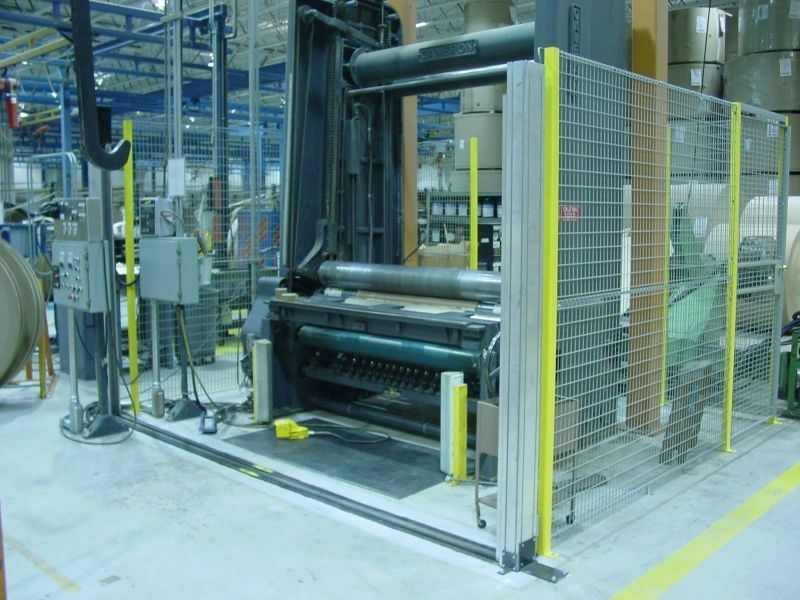 An alternative to light curtains or area scanners, the FlashFold Automated Barrier Door reduces the footprint of the guarding system and provides additional protection from application driven hazards. The FlashFold's versatile design allows the door to rise from the bottom up, so there is no overhead obstructions. Coupled with the optional reversing edge and safety interlock switches, with safety rated controls capable of up to Cat 4 (per EN954-1) and PLe (per EN ISO 13849-1), when integrated properly, you have an ideal safety system. 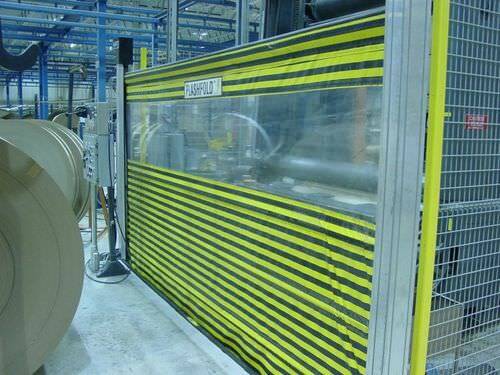 Unique BOTTOM-UP operation - Industries only up-acting machine guarding door. No overhead obstructions allows for clear over-head crane loading and unloading. "This product may not be sold in all countries. Contact your local Rite-Hite representative for availability."